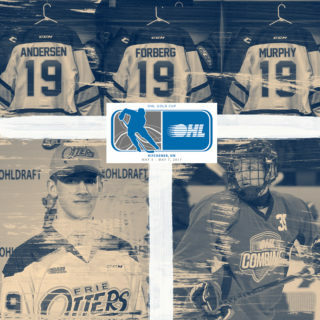 Toronto, ON – The Ontario Hockey League today announced the OHL Academic Players of the Month for November, 2011. West Division– The OHL Academic Player of the Month for November in the West Division is right winger Tom Wilson of the Plymouth Whalers. Wilson, 17, a native of Toronto, Ontario, is currently a senior at Plymouth High School and has achieved a 3.75 GPA average. Tom has worked hard to reach his full educational potential while playing with the Whalers this season. 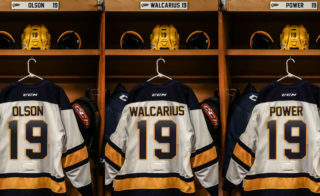 Eligible for the 2012 NHL Entry Draft, Wilson will compete in the 2012 Home Hardware CHL/NHL Top Prospects Game in February. 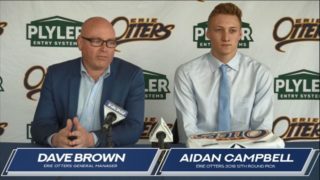 Midwest Division – The OHL Academic Player of the Month for November in the Midwest Division is Defenseman Adam Pelech of the Erie Otters. Pelech, 17, a native of Toronto, Ontario, hold’s straight A’s in all of his advanced courses. Adam has preformed terrifically so far displaying great leadership both on ice and off. Adam’s teachers all rave about his attitude and good manner throughout the school. 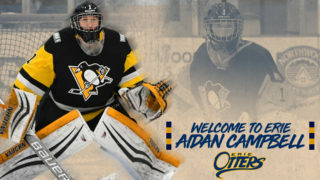 He is eligible for the 2012 NHL Entry Draft and will compete in the 2012 Home Hardware CHL/NHL Top Prospects Game. Central Division– The OHL Academic Player of the Month for November in the Central Division is Defenseman Aaron Ekblad of the Barrie Colts. 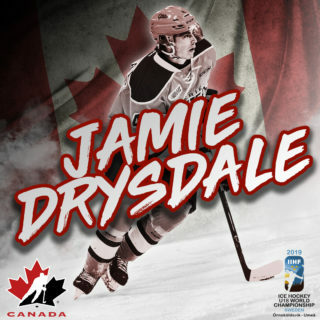 Ekblad, 15, a native of Belle River, Ontario, is currently attending Innisdale Secondary School. Despite his young age Aaron demonstrates a very mature approach to his academics and displays a tremendous work ethic on and off the ice. Aaron is off to an amazing start to his OHL career and is adapting very nicely to the demands of his academics and hockey life in Barrie. He is a hard working well organized elite student athlete. East Division– The OHL Academic Player of the Month for November in the East Division is left winger Michael Curtis of the Belleville Bulls. Curtis, 18, a native of Mississauga, Ontario, is currently completing his final grade 12 university level courses for graduation at Quinte Secondary School. At midterm Michael carried an average of 88%. Just like on the ice Mike shows hard work, focus and determination, and his teachers wish him congratulations on his accomplishments so far as well as good luck with his hockey and academic career in the future.